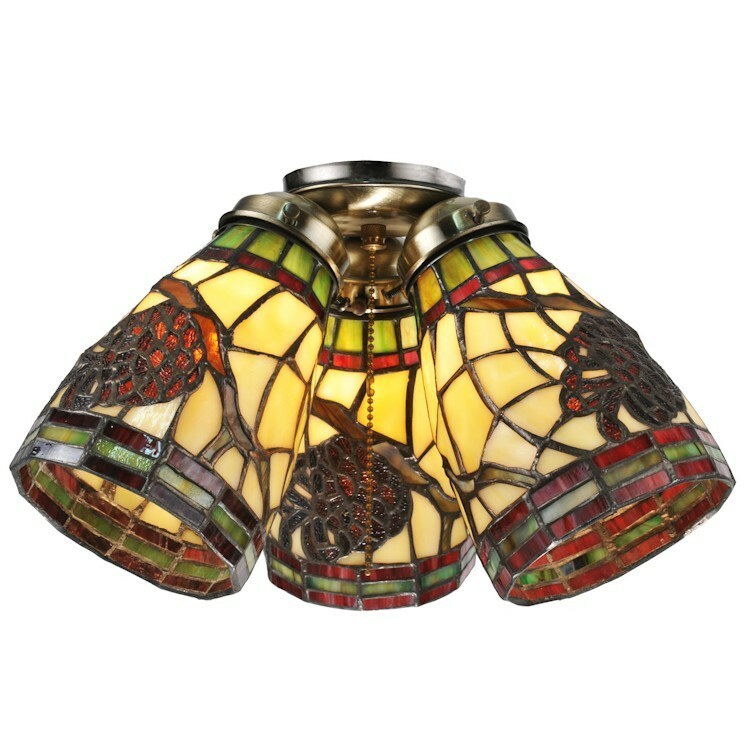 Colorful art glass in cream, root beer brown, red and green are pieced together to create these rustic Pine Cone Dome Fan Light Shades. This set of three shades are designed to replace the existing shades on your ceiling fan. Size: Each Shade Measures 4.5" W x 6" H.